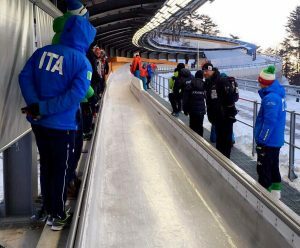 The team flew to South Korea in February 2017 for the Olympic test week of the new track in PyeongChang. This trip consisted of one weeks training followed by a week of racing. Corner 9 proved tricky for many athletes and was regularly studied by all nations during training. In total 27 nations and 156 athletes participated in the test event. The GB team members competed in the Nations Cup event, with Rupert Staudinger placing 40th, Danielle Scott finishing 26th and the Doubles team of Rosen / Thompson did not finish. Rosen suffered an injury in the race and unfortunately the team had to withdraw from the Team Relay event. Overall the teams time in Korea was a success with lines on the track being honed and experience gained. 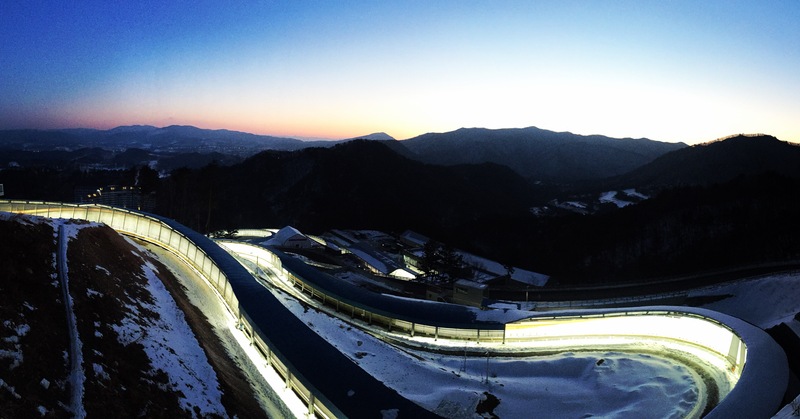 The whole team are looking forward to next seasons racing, hopefully reaching their Olympic qualification criteria and returning this time next year to compete in the PyeongChang Winter Olympic Games.